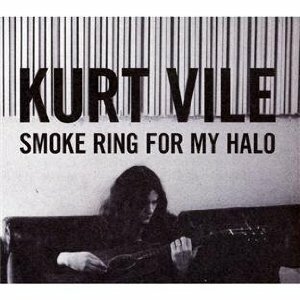 Smoke Ring For My Halo is the fourth studio album from Philadelphia’s “constant hitmaker,” Kurt Vile. No, you may not recognize Vile as a household name yet, but through what he’s created so far, the artist has proven himself worthy of the accolades he’s received from critics and fellow musicians alike. While the tracks of 2009’s Childish Prodigy echoed observations of the outside world as if from a train-car window, the songs on this record evoke hopeless introspection as if from a blind alley. Here, we again witness Vile as a conversational lyricist, but this time the conversation is mostly with himself (as the storyteller). The title track, along with “Ghost Town,” seems to reflect a weary acceptance of forces out of one’s control, and they beautifully close out the record along with the instrumental, which I can’t help but parallel with a gun (the narrator’s fate). From the first spin of this record, especially the opening “Baby’s Arms,” it’s easy to make the assumption that its content is satirical yet nonchalant. But upon closer inspection, it appears that these seemingly tongue-in-cheek songs contain an underlying message both nihilistic and disturbing. Vile is one of the few of his craft that can disguise such pessimism within soothing guitar chords and get away with it. As a whole, Smoke Ring For My Halo is Vile’s most cohesive work yet.